Bethlehem, they place where Joseph’s family was from, and where Jesus would be born. Also known as the city of David, because King David was from here and anointed here. The name, Bet Lehem, literally translates from Hebrew to English as City of Bread, and there is archaeological evidence that the City of Bread was shipping out grain as far back as 8th or 7th century B.C. Located about 6 miles from Jerusalem, it is likely Bethlehem grew and provided the grain for the region, including the big city. Several things strike me about the name, this City of Bread. When we pray the Lord’s prayer, “Give us this day our daily bread”, we are asking God to provide for our basic needs, no more, no less, and we trust that The Lord will come through. Jesus, born here, will refer to himself as, the Bread of Life (John 6: 35). It’s Jesus’ death on the cross, as he provides this “bread”, that show us the fullness of God’s love for us, the depths of his grace, and promises us salvation. And, and, and, we are supposed to take that next step, and become bread for the world ourselves. So it’s not just that Bethlehem link Jesus to King David that’s important here. It’s the promise of God’s provision, from our daily bread to eternal life with The Lord. Today’s challenge. Find someone in need, and provide for them out of God’s blessings and provisions to you. Prayer: Lord, give us this day our daily bread, continue to provide for our basic needs, and help us to provide for others from our abundance. Amen. The Winter Solstice is this week. The time where the day is the shortest and night is the longest. The image of Light vs. Darkness have long been a part of human philosophy and is used frequently in The Bible. When I lived in Savannah, area churches would come together for a service during this week before Christmas for a worship service called “The Longest Night”. It was specifically for those who experience grief or depression this time of year. The service itself was meant to speak a word of hope and comfort to hurting people. These words from the Luke 1 (above) are frequently used at this service. They are the words of Zachariah after his son, John the Baptist, is born. These words proclaim what God is doing in John, and then Jesus, coming into our world. Jesus’ birth will not to take away our suffering, but to shed light on our darkness and bring us peace in the midst of our grief. This is a word of comfort to all who are grieving, suffering, or depressed on the shorter days and longer nights. The promise is this: that God’s love is coming once again, brighter days are ahead, the time of darkeness will wane once again. Here’s your Invitation: If you are one of those going through the longest nights, know that God is with you, in the midst of the darkness, sitting with you. Here’s your challenge: If you are one of those who is in a festive mood this day, realize others are not. Come along side them in their darkness. Walk with them until the light of God’s love shines through and brings some peace. Prayer: Lord, this is hard season for many folks. It makes your celebrating your birth even more meaningful, because we know we need you. May your light shine through us into the dark places of the world around us. Amen. My friend Harry the Story Teller, used to warn us, “don’t be That Guy”. It was usually the lesson from his story. Some person, usually a guy, would mess up royally, and then Harry would inform us not to be a the same kind of jerk with those words, “don’t be That Guy”, And since cool wasn’t my thing, I generally heeded his advice. This is the same Barnabas who vouched for a guy named Saul, who had persecuted Christians and presided over their executions, but became the guy we know as Paul, the missionary that wrote a large chunk of the New Testament. Barnabas not only vouched for Paul when no one else would, he would eventually travel with Paul on those missionary journeys. “The Encourager”. That Guy. Do be “That Guy” or “That Girl” today. Who can you and I encourage today? Surely the Lord will place someone in our path today who needs a good word, an “attaboy” or “you go girl”. So do it. Today’s Invitation and Challenge is simple. Find someone and encourage them. 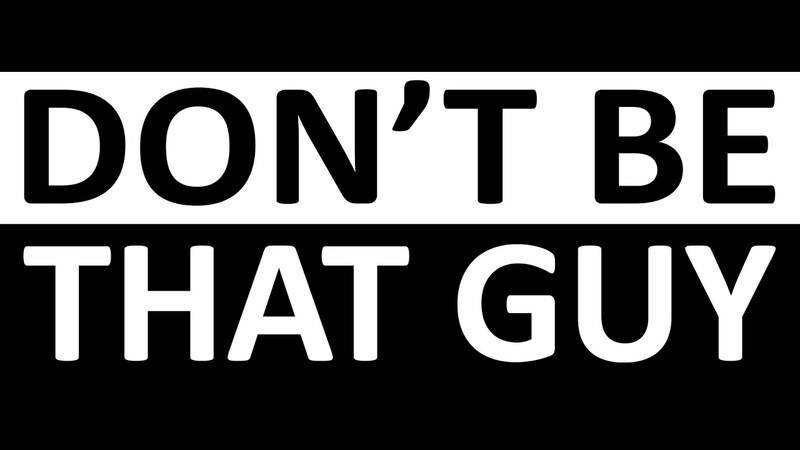 Be “That Guy” or “That Girl”, a.k.a. The Encourager. Prayer: Lord, reveal someone to me today who just needs an encouraging word, and give me the wisdom to find the right words to speak to them in a way that lifts them up, that builds them ups, that encourages them. Amen. What I wanted for Christmas in 1977 was “Super Toe” (Pictured above). Hey, I was five, don’t judge me. You bonk him on the head hard, and he kicks the football. I didn’t get him that year. My brother already had one, so, Santa didn’t see fit that our family would need two of these things. Instead, Santa brought some other toys (which my brothers broke, but I’m not still bitter about that..) and some clothes that I needed. I was still grateful, but also a touch disappointed. The 1st Chapter of Matthew, alerts us to who Jesus is, and what he does. It’s God seeing what we need and then giving it to us. Through Jesus, the Lord will forgive us and be with us (what we need). God doesn’t promise to take away our suffering, but instead, suffers with us and for us. Given the choice to leave us to ourselves, obliterates us, or love us and come to be with us, guess which one God chose? And this is the heart of the Gospel message, the good news, as Jesus is born, God’s love is revealed to us. God gives us the greatest gift, the gift we need and long for the most – Love. Prayer: Lord, you know what we need most, your grace, your forgiveness, your mercy, and your love. Thanks for always providing. 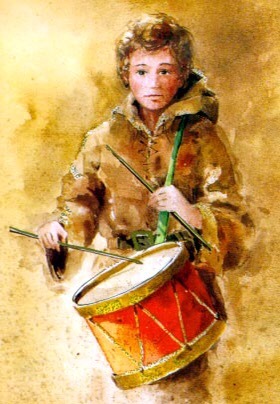 As we creep closer to Christmas, I’m struck by the simple Christmas song, “The Little Drummer Boy” – just the premise of it. If you and I were there, at the manger with Mary, Joseph, and Jesus, what gift would we bring? In the text above, Peter and John, two of Jesus disciples were going up to the temple to pray, when they encountered a crippled beggar. What do they have to offer him? It’s not a monetary handout, they give life in Jesus name – which brings mercy, grace, healing, restoration, wholeness. You and I may or may not be able to offer material things, but we all have plenty of God’s love for us, revealed by Jesus birth, to give away. It’s a well that never runs dry. There’s always more than enough. Today, someone out there in the crazy world, needs you stop for a moment and in some way, some shape, form, or fashion, gift them with some love in Jesus name. Prayer: Lord, your love for us never fails and never ends, reveal to me someone to share your love with, someone who simply needs to know that they have not been forgotten, that they have value, that they are not simply some charity case. They have value because you love them, and you want heal them and restore them to wholeness. Show me some one who is hurting or lonely, and give me the wisdom to know how to share you and your love with them. Use me as your gift today. In Jesus name, Amen.